Being in Philadelphia over the summer is a wonderful, surprisingly serene experience. After the hustle and bustle of seniors graduating and students moving out, campus slows down and drops into quietness. Despite the buzz of Center City across the Schuykill, Penn’s campus remains a haven for those who have chosen to stay for summer classes, internships, or research positions. Though it isn’t exactly like Penn during the school year, it’s the perfect time for prospective applicants to start their journey of falling in love with Penn, and of course, M&T. I elected to stay on campus this summer for the first session and take classes since I would later be a Residential Team Advisor for the M&T Summer Institute (M&TSI) in July. Two classes that I took were Management 101, Introduction to Management, and Math 241, a class on applied partial differential equations. During the first summer session, I was lucky enough to be asked by January to bring two prospective M&T applicants to my management class, and then field any questions they had about being in the program. I met each of the students early, before my 9 AM class, so I could get to know a little bit about them and their interests. I asked them about themselves—what they enjoyed doing in high school, what they were looking forward to doing in college, and what sorts of things they wanted to study. I always got a variety of answers, and it was cool to see how impressive and motivated these potential applicants were. After that, I introduced them to my MGMT101 professor, who was always thrilled to meet them and find out more about them. It turns out that the two students I brought to class sat in on different types of classes— one sat in on a lecture, where the professor reviewed management fundamentals in terms of business strategy. The second got the chance to observe and participate in a case lecture where all the students had come to class having read a case study on a particular business—in this case, Nintendo—and worked together in groups during class giving insights on the firm’s management challenges and possible solutions it could pursue. After the two-hour class, I sat down with the students and we talked about any questions or concerns they had about M&T and Penn. Many times, their engineering major of interest or extracurricular activities aligned with my own, and I was able to give them a specialized perspective on the program. Giving them the chance to sit in on a real class and talk to a current M&T student truly seemed to benefit them—I hope they enjoyed it enough to apply in the fall! It was a pleasure to give them a small taste of how great it is to be in M&T. Ikshita, originally from Plainsboro, New Jersey, is a member of the M&T Class of 2017. 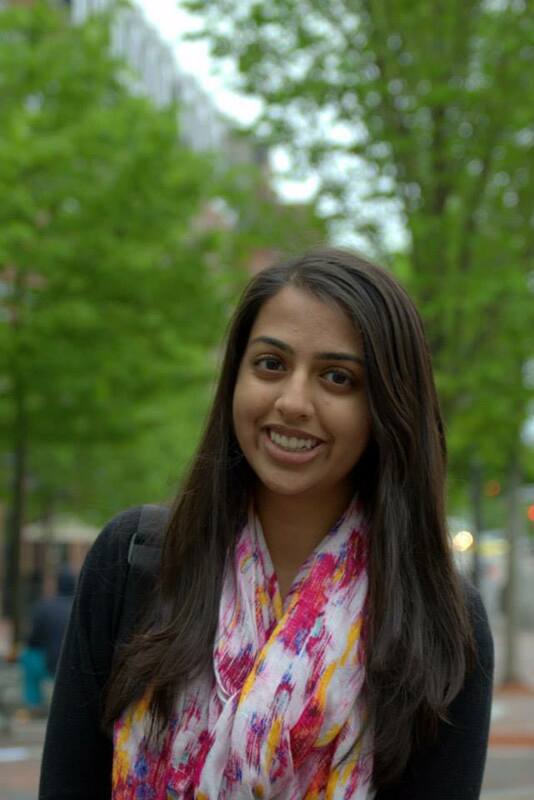 She studies Bioengineering within Penn Engineering and has yet to declare her concentration in the Wharton School.